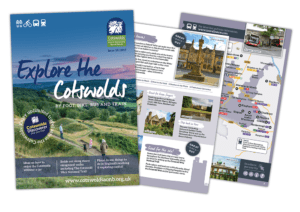 We have a range of books, guides and souvenirs to help your enjoyment of the Cotswolds AONB. All prices include postage and packing however we are only able to process orders for UK only. Please allow up to 7 working days for UK delivery. 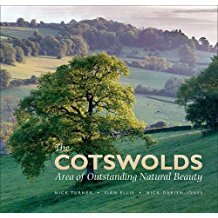 If you are outside the UK and wish to purchase an item below, please use the dropdown list to confirm you postal zone or email– info@cotswoldsaonb.org.uk. Overseas postage costs can vary from £9.50 Europe, £14.00 World Zone 1, £15.00 World Zone 2 for standard untracked. The cost of the book £14.99 will be added to the postage fee above, and orders for more than one book will incur a higher postal fee. Please email us for a quote on any options not listed here. If you are a business or organisation wishing to stock this leaflet this is available to order in bulk through Glide Media.